It's time for you to embrace your God-given gifts, skills, and passions and lead with confidence. Host Esther Littlefield is a pastor's wife and business owner, and she is joined by co-host Holly Cain. 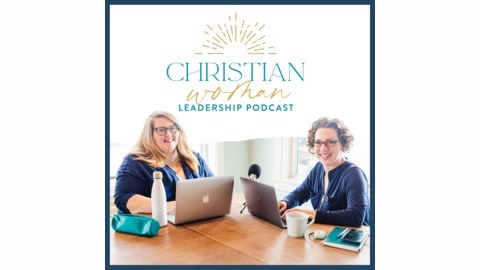 They discuss issues related to leading as a Christian woman, and they also interview other women who share their leadership journeys. 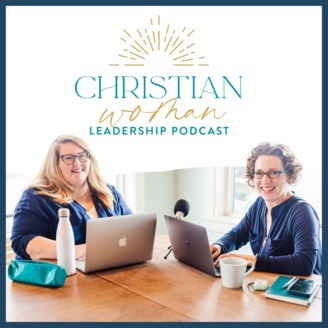 Through this podcast, Esther and Holly offer encouragement, tools, and resources to help you live out your unique calling as a leader. What role does creativity play in leadership? What should you do when you feel discouraged in your creative work? And can your business also be your ministry? In this episode, I talk with Jenny Randle, wife, mom, business owner, entrepreneur, and author about how God created each of us to create, how to fight for our creative nature, and how she handles being multi-passionate. Whether or not you believe you’re creative, this is an episode you will not want to miss. Jenny’s first memory of leadership is when she ran for student council in the fourth grade, but didn’t vote for herself. Her parents reminded her that she needed to believe in herself enough to vote for herself. They raised her as a leader and gave her “gold nuggets of wisdom” along the way. Jenny has had several mentors through the years. Dr. Webster of Spirit and Word Ministry has been an encouragement to her as a leader in ministry. Her parents are mentors to her as well: her dad as an example and her mom as she lives out being a strong woman. She also has a friend who consistently encourages her and tells her to stop over-analyzing. And she loves how her church in New York has created space for people to use their gifts. On the DISC Profile, she’s a DI. She also loves the Fivefold Ministry Survey and the Heights Spiritual Gifts Survey. Her mentor, Dr. Webster walked her through how God wired her and it was life changing to hear that affirmation. She often felt like she was “too much” and should step back, but God designed her to do what she’s doing. Faith is the lens through which Jenny views everything. She prays over projects. The Holy Spirit is actively moving and wants to be a part of the work. Titles don’t define you. Be flexible in how God is moving. Our giftings build on each other. How can I fight for my God-given creative nature? Doubt, perfectionism, a performance-mentality, and comparison can stifle our creativity. Jenny believes that as Christians, we are meant to be influencers and leaders. Acknowledge that you were created to be creative. Invite the Holy Spirit into your process. Ask God what He’s doing and if there’s an idea that He wants you to do. See creativity in others and ask God how you can cultivate skills in them. Creativity is how we influence the world. Jenny encourages us to go into the mainstream spaces, influence the people there, and glorify God with your work. Jenny believes that our creative calling isn’t always for what we’re producing but who we’re producing with and who we get to influence. It’s important to know how God wired you and lead people well so people can see God. Creativity calls for vulnerability. We have the opportunity to create from pain AND from pain that we’ve processed through and seen God work through. Jenny recommends the second option, because we’re in a healthier space to deal with criticism when it comes. When you get negative reviews or feedback as a creator and you’ve processed through the pain, you’re already secure in the outcome and you hold on to your identity. You don’t let other people define you. Jenny defines creativity as “making stuff” so anytime you make stuff, you’re creating. This could look like engineering, teaching, developing business strategy, cooking, or gardening. Notice where you’re already creating and expand on areas you already have a natural interest. Practice creativity with your team. You get better results because you’re not limiting the space of your team. You’re trusting your team to show up and give space to the process. Champion your team and empower them to try. Be silent and get outside. Silence boosts creative input by 60% so go outside without your earbuds and bring a notebook to write down ideas. God gives us creative ideas and He may give them to us to make money. Jenny has both a ministry, Freedom Creatives, and a business, her digital marketing company. She believes that being in the mainstream space is a ministry. Our purpose is to glorify God so you’re free to do that in lots of ways. Believers should hold leadership positions in all companies so our culture can change. We cannot diminish our voice by doing doubting our value or saying something is just “your opinion.” Place value in your God-given voice. There’s a reason you are where you are. We can change culture by stepping into the dark areas, by using our voice, and by walking confidently in the areas God is sending us. Jenny struggles with being multi-passionate because she loves to work so she must be intentional about “turning off.” She has people who hold her accountable. She also knows where she is gifted and delegates tasks to others. She also has learned to set up boundaries. Jenny understands the rhythms of when she works best and being at peace with that. Jenny recommends filling in the white space with Jesus and holding each day loosely by asking the Holy Spirit what He wants you to focus on. She recommends asking God what He wants you to do and where to spend your time. Find out where you excel and what times of day are best for you to get work done. Jenny is a faith-based speaker, creative entrepreneur, founder of Freedom Creatives and author of "Courageous Creative*". She has a deep passion to empower people and businesses to live with impact and loves a good freestyle rap battle with her husband and kids. Go here for a free creativity assessment to determine what’s killing your creativity. Jenny is giving one listener a FREE copy of her book, Courageous Creative. To enter, follow me on Instagram, find the giveaway post and follow the instructions there! Giveaway ends Sunday, April 21st. Winner will be announced Monday, April 22nd. Today’s show is brought to you by Audible. Audible is offering our listeners a free audiobook with a 30-day trial membership. Just go to estherlittlefield.com/audible and browse the unmatched selection of audio programs – download a title free and start listening. Go to estherlittlefield.com/audible to start your free trial. *Affiliate links. This goes to cover the cost of running the podcast. This episode was originally published on estherlittlefield.com/episode43. To join the Purposeful Leadership Facebook Group, go to estherlittlefield.com/group.